Welcome to the latest edition of our weekly newsletter. In this week's email, we attempt to lure you back to the club, we explore the differences between Motocaddy's two electric trolley ranges, and we have a must-watch video from Ryder Cup star Thomas Pieters. We've noticed you haven't completed our mini online form yet, which takes just 20 seconds. By doing so, you'll also begin receiving personalised content that features products more suited to your game. You can you use this link to change your profile at any time. This video is about How to hit a golf ball with a driver for beginners. Are you an intermediate golfer wanting to learn got tips how how to hit a driver? This golf lesson will cover the golf swing basics for driver so would be a great refresher if you would like to hit a golf ball much straighter. The past week saw many of you dust off your clubs and join us for a game of golf as we all tried to make the most of the unseasonably hot weather (was it too hot?). We’re keen for this not to be a one-off adventure for you so we thought we’d try to lure you back by telling you what’s happening here at the club. To begin with, we have plenty of fresh new product sitting in the shop with your name on it. It’s also worth remembering that if there is a specific product that you’re after that we don’t stock in-store, we will be able to source this for you in a matter of days, in most cases, and for a great price. Just come and speak to us in-store and we'll be more than happy to help. Alongside the latest and greatest we’ve decided to run a few new season offers so that you can be fully prepared for the months ahead. Talking of which, our competitions are up and running with fields getting bigger with every passing month. So if you want to be in with a chance of winning, be sure to consider a lesson or two with a member of our fantastic team. 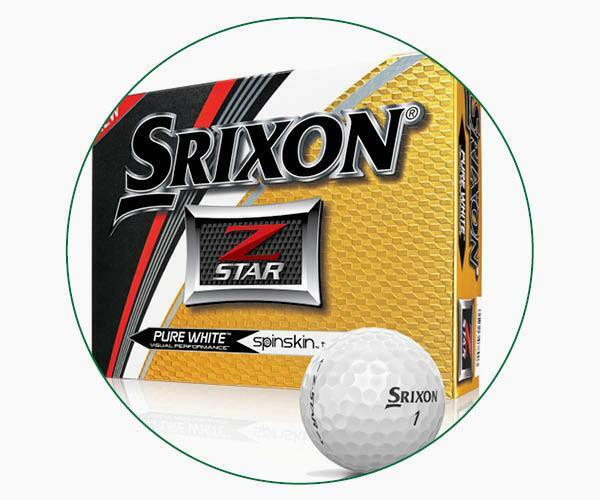 Like all tour-level golf balls, the Srixon Z-Star and Z-Star XV boast a Urethane cover, which sets the bar for cover materials. Urethane – a soft and flexible polymer – will give you the highest possible spin rates combined with the best feel; benefits you will really notice when hitting chip and pitch shots. However, if you like to play lower flighted chip-and-runs you might prefer other options in Srixon’s range that are made with Ionomer covers. While this type of cover doesn’t generate as much spin, it is slightly more durable and offers a cheaper alternative. As you can see on these 50-yard pitch shots, the extra spin from the Urethane cover ball on the right helps it to stop much quicker than the Ionomer cover ball on the left, which rolls out on landing. Which trolley is best for you? 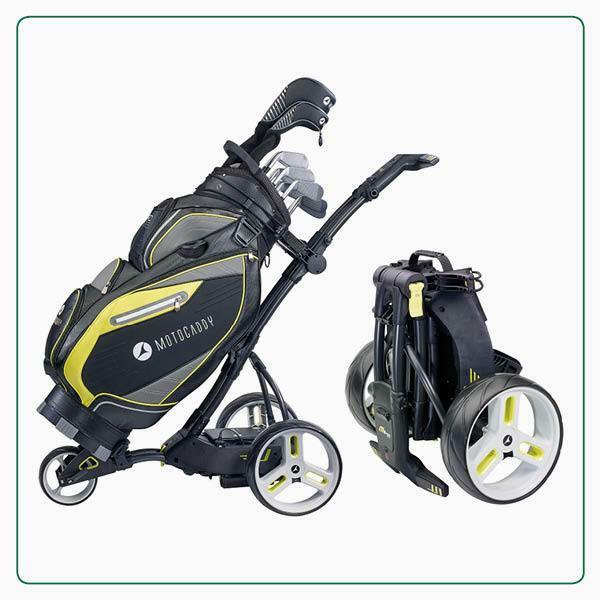 The fundamental difference between these two popular ranges is that the Motocaddy M-Series folds 40% smaller, making it the perfect choice for anyone who has space restrictions such as a smaller boot. 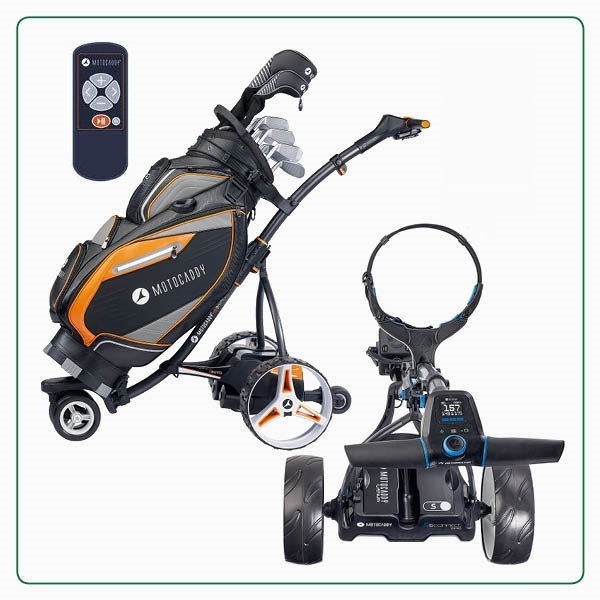 That being said, the Motocaddy S-Series models offer some smart technology options, like GPS yardages in the S5 CONNECT model and remote control functionality in the S7 REMOTE trolley. Watch this video as Foremost TV interviews Ryder Cup star Thomas Pieters to find out his top 10 tips for any amateur golfer - a must watch!